When the newly formed Change for Progress Alliance, or AMP, secured an outright majority at Timor-Leste’s 12 May election, the prospects for stability seemed promising. 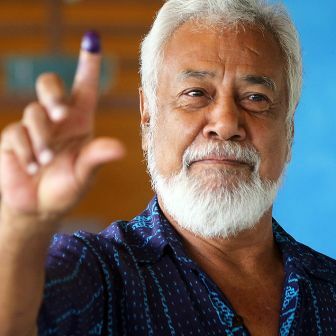 The new Alliance brought together three parties — Xanana Gusmão’s CNRT, former president Taur Matan Ruak’s Popular Liberation Party and the smaller youth-oriented KHUNTO — to secure thirty-four out of parliament’s sixty-five seats. Although he didn’t lead the largest of the three parties, Ruak was appointed prime minister the following month, with Gusmão proposed as minister of state advising the prime minister. 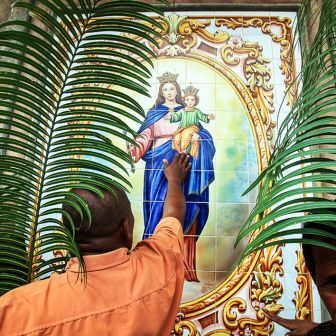 Fretilin’s Francisco Guterres was still president, having won that post in March last year, with unprecedented support from Gusmão, in what would prove the final chapter of a period of major-party cooperation. With the election of a majority government, hopes were high for a period of stability. 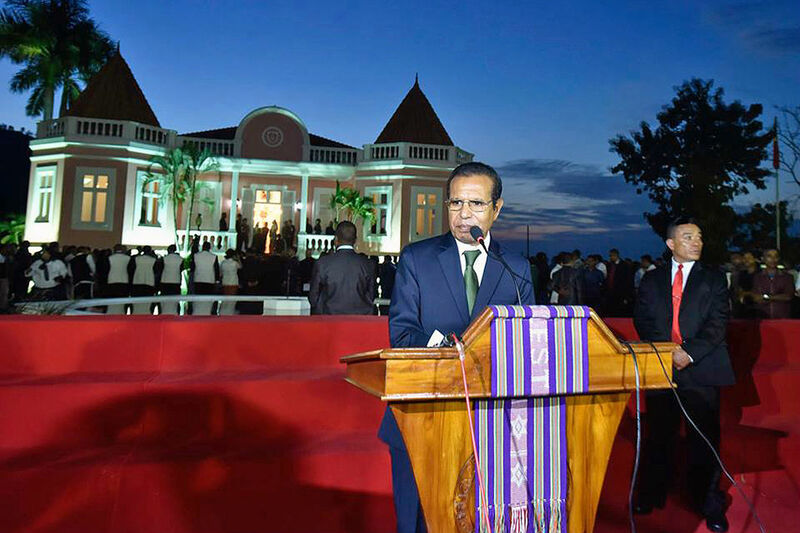 But this first experience of genuine “cohabitation” between a Fretilin president and an AMP government under Timor-Leste’s semi-presidential system has already disrupted expectations. The rocky start has revealed the potential extent of presidential power and generated speculation about possible problems within the governing coalition. Tensions first came to a head in June when President Guterres refused to agree to the appointment of twelve of the government’s forty-one proposed ministers, citing corruption investigations. The obstacle in the case of the sole nominee associated with the Popular Liberation Party — a strictly bureaucratic matter involving resignation from the military — was soon resolved, reducing Guterres’s refusals to eleven, nine of whom are CNRT figures and two from KHUNTO. Though Gusmão was not among them, he boycotted the swearing-in-ceremony in protest, accusing the president of “unprecedented, unusual, seditious and politicised” behaviour. Another ministerial nominee joined the boycott, though other CNRT ministers attended. For his part, the president says that he merely asked the prime minister to review the nominees in the light of the evidence provided, arguing that they might undermine public faith in the government. Gusmão responded by issuing a statement signed by a judge that nine of the impugned nominees had no charges pending, and withdrawing and replacing the two facing court hearings. This was a reasonable step that distinguished between actual and potential charges, but it had the unfortunate political side-effect of adding detail to the accusations against the would-be ministers, some of which were unrelated to corruption. Seizing on the politics of the moment, Fretilin reintroduced a 2014 anti-corruption bill into parliament on 10 July. Meanwhile, parliament had denied the president permission to make a scheduled state visit to Portugal. While it was argued that the business of state meant that the timing of the trip was bad, parliament’s move was another clear sign of cohabitation tensions. Presidential power in Timor-Leste has frequently been underestimated, and partly remained latent under the previous, non-partisan presidents. They have certainly used their veto powers, and often made strong criticisms of government agendas, but this is the first time that the two major parties have faced off in this way. Although presidential vetoes of legislation are reversible by parliament (vetoes of executive decree laws are absolute), vetoes in many substantive policy areas can be reversed only by a two-thirds supermajority, making the power far more substantial than it appears at first blush. Guterres’s predecessor, Taur Matan Ruak, was often highly critical of the 2015–17 national unity government, but he faced a government controlling more than two-thirds of the seats. Under Guterres, Fretilin holds twenty-three seats — just enough to block a two-thirds vote. As a result, the possibility of a presidential veto will be ever-present for the AMP government. These events have also raised speculation about tensions within the government itself. 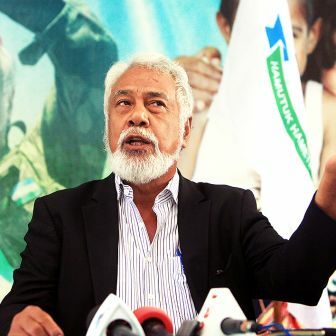 In his role as leader of the largest alliance party, Gusmão has been highly critical of the president’s actions; but Ruak is in the more complicated position of having also rejected a ministerial nomination when he was president. Indeed, exchanges between the president and the PM have been cordial throughout the current controversy, and Ruak appears relatively sanguine about Guterres’s move. It may be that the prime minister doesn’t want his government tied to ministers, none of them from his own Popular Liberation Party, who are under a cloud. It is also true that his party was less than successful in securing senior ministries — beyond the prime ministership, of course — especially in key economic areas. CNRT figures added to the impression of division at a press conference last Tuesday when they restated their faith in the ministerial nominees, making a point not only to the president but also explicitly to the prime minister. CNRT also threatened action against the president if he doesn’t install the ministers within ten days, but with Timor-Leste’s equivalent of impeachment also requiring a two-thirds vote of parliament, it isn’t clear how this would be done. In a further development, Gusmão announced in late July that he wouldn’t be joining the government as a minister. 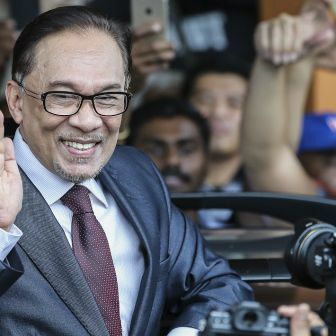 The decisive factor appeared to be the president’s decision to refer an emergency budget measure, drawing US$140 million from the country’s petroleum fund to top up state coffers for July and August, to the Court of Appeal to test its constitutionality. The government argues the measure is necessary to address a slowdown in the economy as a result of “duodecimal” measures in place since early 2017, which have essentially frozen government spending and prevented new programs being funded until a budget is passed. Gusmão’s withdrawal has worried many Timorese, who fear it foreshadows further instability. But it may be that he is giving the AMP government space to advance its agenda without being distracted by the stand-off with the president, in which he has become a central figure. That theory is backed by government sources, who are adamant that communication between Ruak and Gusmão continues without any problems. As the government also notes, Gusmão remains in charge of the Maritime Boundary Office and is very active in advising government on this issue. It may be that Gusmão is saving his political energies for another day, and has made a de facto acknowledgement that the president can’t be forced to alter his stance and that a political response is required. Some common anglophone presumptions do not readily translate to Timor-Leste’s semi-presidential system. The East Timorese constitution doesn’t grant a Westminster-style supremacy to parliament; rather, it emphasises the interdependence of the four sovereign bodies of parliament, government, president and judiciary. The nature of these separations and interdependence is, clearly, still being tested. An examination of similar constitutional systems suggests that presidential objections to ministerial nominations do occur, though they are not commonplace. In Portugal, recent presidents have asked for certain ministerial proposals to be reconsidered, though more in the low-key vein of Ramos-Horta’s action. Portugal’s Jorge Sampaio (president from 1996 to 2006) strongly objected to the nominee for foreign affairs minister, and also asked for ministers to be removed after scandals emerged, and the government obliged in both cases. Though presidents can’t nominate ministers, as Guterres has acknowledged, some Portuguese commentators suggest they do have a latent power of refusal, though not in the case of the prime minister. While it is possible that Timor-Leste’s Court of Appeal could one day review Guterres’s recent action, it appears more likely that it was an unreviewable political decision — one for which the president is ultimately accountable at elections — and can only be resolved through discussions with the prime minister. As to the wider politics of the stand-off, it is notable that there has been little public clamour in support of the rejected ministerial nominees. Even some veterans traditionally supportive of Gusmão have argued that investigations can take time to get to court, and formal charges shouldn’t therefore be needed to disqualify certain nominees from senior positions of public trust. The scale of Guterres’s objection to ministries is certainly unprecedented, and defenders of the government have been on stronger ground noting that the same tests were apparently not applied by the president to the Fretilin-led government’s ministry in 2017. But Guterres seems to have had the best of the encounter thus far. He is clearly not afraid to exercise such powers as the president possesses, and obviously sees his role as guarantor of national institutions, a position for which there is some constitutional support. He has also justified his position as one that protects the judiciary by preventing ministerial immunity for impugned nominations. The government has countered that the presumption of innocence and the separation of powers have been offended. Whatever the outcome of Guterres’s actions, Gusmão’s support for his presidential bid last year now appears a major political miscalculation. The appointment of Ruak as prime minister was a popular one, solidifying the AMP, but also means that the president has no ongoing constitutional obligation to talk to CNRT’s leader. 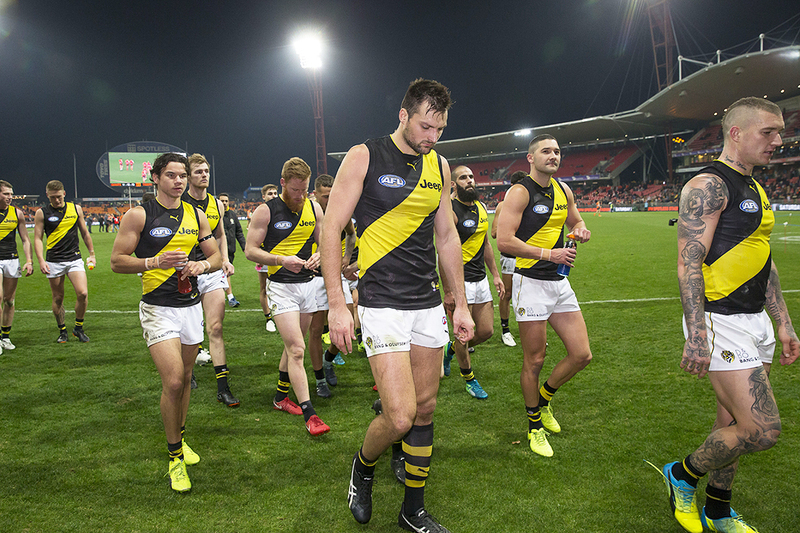 Books | George Megalogenis gives a vivid account of the development Australian rules football. But what does it mean for politics?